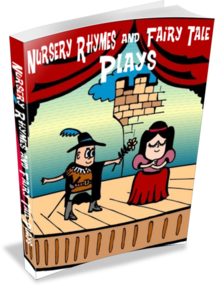 Nursery-Rhymes-Fun News, Issue #008 -- <> Let's Have Some Fun! This game is similar to the old classic Simon says, but instead, the leader pretends to be Santa Claus. Every little child knows that you must be very, very good to receive a visit from Santa Claus, so they must follow the instructions to the letter. A christmas stocking full of small wrapped gifts could be used for prizes. Or small wrapped individual gifts under a tree. Seat yourselves in a circle and choose one person to be Santa. His duty is to order all sorts of different things to be done, the funnier the better, which must be obeyed only when the order begins with "Santa says." As, for instance, "Santa says: 'Thumbs up!'" which, of course, all obey; then perhaps comes: "Thumbs down!" which should not be obeyed, because the order did not commence with "Santa says." "Hands over eyes," "Stamp the right foot," "Pull the left ear,"etc. Last man standing receives the prize. Then the winner becomes Santa and the game begins again. You could play until everyone wins at least one prize. Hide the packages in various places around the room or house, depending on where you want the game to be played. They could have a gift exchange when all the packages are found. Serve cupcakes decorated with icing and coconut to resemble snowballs. Let’s make a Christmas Chain. This is a very easy craft for all ages. Beginning on December 1: Holding each sheet of construction paper lengthwise, cut across the short side, cutting out 25 strips in red and green. Roll them into a circle and tape closed. Insert the next circle into the first one before rolling and taping. Continue in that manner until you have a chain or 25 links. Every evening a link will be removed and as the chain grows shorter and shorter, your child anticipates a visit from Santa. Role Playing is Fun - Shall we be an elf? What would it be like to work for Santa Claus? What kind of toy would you make? Would you be a specialist? Or would you make all different toys? What does an elf eat? Cookies? Spinach? Ice Cream? Broccoli? Is Mrs Santa Claus a good cook? Or is there a North Pole Chef? Do all of the elves live in the castle or are there individual cottages? Kids having trouble with multiplication? Multiplication is a big part of every child's success in school. Help them master multiplication. Kids actually beg to play Timez Attack. You've never seen an educational game like THIS before. Would you like a job that enabled you to stay at home with your kids? Me too! See what I did. 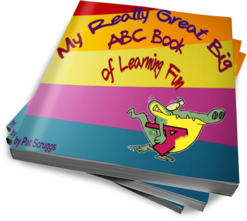 Phonics and reading getting you down? Designed as a game your kids can't wait to play! 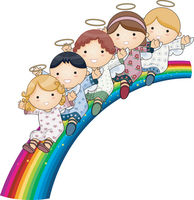 According to an article titled "Fostering Creativity" in Child magazine, "Creative play is the foundation of critical thinking, of making life meaningful. It is essential to child growth and development, and we're interfering with it in ways that are incredibly worrisome." Electronic toys do not develop creativity. In fact, they are not teaching at all. They are merely time absorbers.